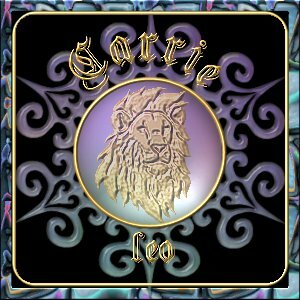 Carrie - *a familiar form of Carol, Caroline...(Latin) "little and womanly"
A feminine form of Charles. Carrie is a 2002 high school graduate. Some of her interests in high school were drama, creative writing, reader's theater, art, and choir. Carrie competed in singing and drama, both solo and group all four years of high school as well as competing in junior competitions when she was in middle school. 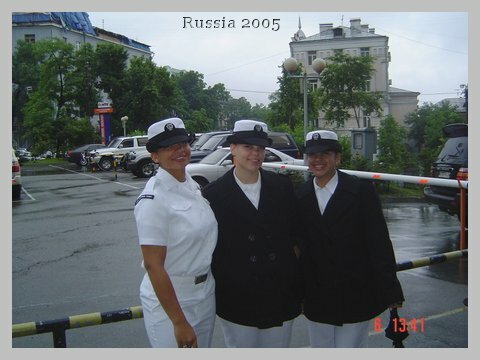 Update 9/26/2002: Carrie has joined the navy! She will go to boot-camp in Great Lakes, Illinois. After boot camp, she will recieve training for Quartermaster/Signalman. Carrie is very excited about her career in the U.S. Navy, and we are VERY proud of her! 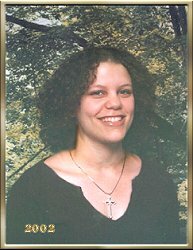 Update 12/30/2004: Carrie is home for Christmas! (Mom doing a happy dance!!) 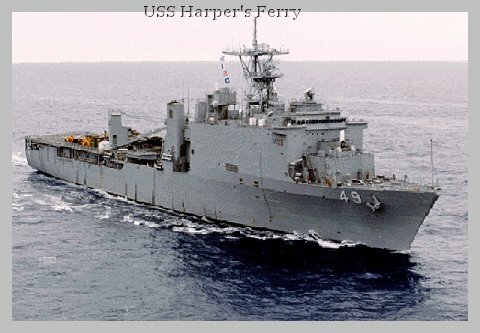 When the new year rolls in, Carrie will return to her ship, the USS Harper's Ferry, where she works in the navigation department as a quartermaster apprentice. She has grown and learned alot so far and I expect her experience in the Navy will leave a definite imprint on her life. We are so proud of her. Update 8/24/2004: Carrie's division was deployed to the Persian Gulf to assist in Operation Iraqi Freedom. I hear from her occasionally, via email, but not nearly enough. We pray for her safety and ask that you join us. Update Misc: Carrie informed me in an email recently that she is now officially a Quartermaster, third class. Way to go baby! 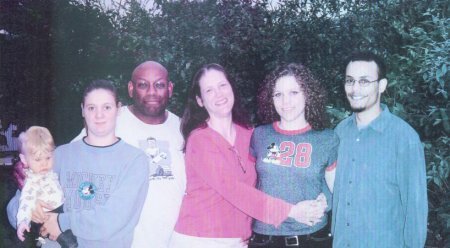 Update May 2005: Carrie is home on leave. She has to leave before her brother's graduation, but it is so wonderful to have her home. Home on leave May, 2005. Carrie's uncle surprised us and drove in from Illinois to see Carrie the first week she was home. We had a nice family dinner with him and his family. All in all, this was the best leave ever. I'll miss her on the holidays, but it was so nice not to be snow-bound! Update Aug 3, 2006: At last! We are waiting for approval from the U.S. Navy for Carrie's 'terminal' leave. She's coming home for good!!!! Yay! Hopefully, she'll be home in early October. After that she plans to move to Florida where she will be attending art school. Please Note: DO NOT copy or reproduce these images in any way, shape or form. These images are © C.M. Scarsbrook. Images are NOT free domain.